One of the best new tools that Windows Server came out with was a built-in Partition Manager. Last fall, one company began offering a pretty smart application for Windows Server users to supplement the Partition Manager. EASEUS Partition Master brings a robust and diverse set of drive management tools to users of Windows Operating Systems, and is poised to compete with Partition Magic and other partition programs’ most useful features. Here’s the brief review of EASEUS Partition Master 3.5 Server Edition, submitted by guest author. At the first sight of this program, I thought it were the program that is designed at the beginning of this century. However, after I tested, I am attracted by this cute program. I used Partition Magic before; this interface makes me feel it were Partition Magic, except the name of this program. The buttons on it are very clear to be identified, even a user who are not professional in this field can do partition management alone. There are two ways to resize partition: Firstly, drag the right or left frame of this partition, you may get the size you want, or, type the exact number in this window, you will get very accurate size of this partition. During the operation, it acts flawless, and runs much faster than Partition Magic. 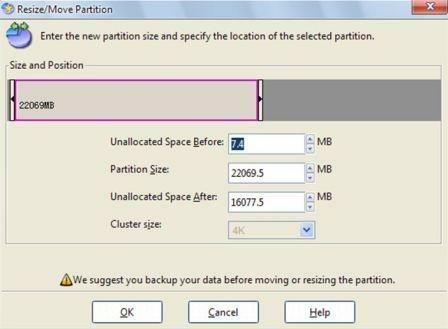 If you got unallocated space in your hard drive, you may create one partition. Though the Disk Management Tool that built in Windows can do same thing, however, it cannot support resize the unallocated space during the creation. That means you may create many partitions from this unallocated space. 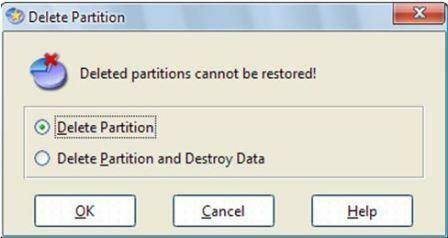 Destroy data feature when deleting partition is also very attractive. You know, there are so many data recovery software which can recover formatted data as well. So if you don’t want to let your data to be recovered by someone else, you may choose “Delete Partition and Destroy Data”, and your data will not be recovered. And some other features like: Convert partition, Format partition, Explore partition, Hide and Unhide partition; set active partition, etc. all of them are extremely easy to run. Once you chose a feature, there will be a special wizard to guide the whole process, the only thing you need is to do is to keep clicking. After the test, we found that EASEUS Partition Master Server Edition acts well in Windows 2000 professional/XP/Vista and Windows Server 2000/2003/2008 32 and 64 bit Systems as it claims on its official site. And it can work under Windows 7 perfectly as well, which is really nice. No matter customer server or technical support, you need to wait 12 hours to get the answer since EASEUS Soft is located in China. And this company doesn’t offer telephone support, just email support. However, it supports 30 days money back guarantee, people benefits a lot from this offer. EASEUS Partition Master doesn’t support dynamic disks. But it seems all partition software in the market don’t support neither, only Disk Management Tool that built in Windows supports. EASEUS Partition Master supports hardware RAID, I think that would be a makeup. The final rating I gave to EASEUS Partition Master Server Edition are 4.5 stars. Trial version of EASEUS Partition Master is available for free download. EASEUS Partition Master 3.5 Server Edition costs US$ 149.00. More information about the product can be found on EASEUS Soft homepage.